- Show off your dog or cat’s unconditional love with this adorably colourful outfit. - Features a rainbow-striped ribbon that adjusts to fit comfortably around your pet's waist. 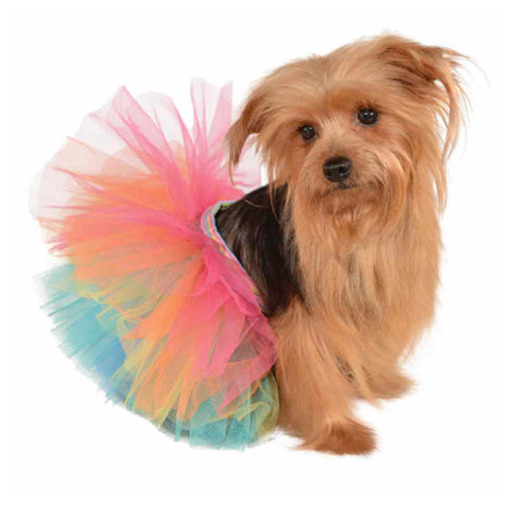 - Multiple layers of vibrant tulle material complete the tutu in perfect style. - The ideal accessory for parades, festivals, photo shoots, dress-up or just a leisurely stroll in the park. - Brings a little sunshine to everyone you meet and is sure to brighten up your social media posts! - For your pet's safety, please supervise your pet while wearing.